We are happy to showcase our member authors! Each of the books below has been written by one of our WWCWG members, or the member has a chapter in the anthology, and the book is available for purchase. For more information about the author or the book, click the book title or author name. * Young Russell’s prayer asking God to call his parents to be missionaries. * God’s answer when Russell was eight and his donation to his mother’s schooling. * A near disaster involving a pig in an airplane and donkeys on the runway. * His capture and confinement to a guerilla camp in the jungle. * Russell’s decision to rescue his captors by being a good example and loving them. * His release from, and return to, his enemies to continue the ministry he had begun. Psychiatrist Bai Donovan is a perfectionist—who sent an innocent man to death row. Consumed by guilt, she vows to make amends. When Bai’s efforts backfire, a homicide detective has questions she can’t answer. He thinks she’s a serial killer; she can’t clear her name without divulging a past she’ll do anything to hide. Motives collide and passions ignite as the Southside Stalker amasses victims. Deception and danger draw Bai down alleyways of madness. Will she discover the truth in time? Or will the Southside Stalker make sure Bai takes her secrets to the grave? Award-winning author, Laurie Norlander, believes in second chances. As a CPA turned novelist, Laurie writes uplifting fiction to challenge, encourage, and inspire. Noah and his ark stands out as a timeless, classic Bible story that must be read to every child. Beautifully illustrated, this book brings to life the faith of Noah, the assurance of God's love for his people, and the promise of God's continuing faithfulness. 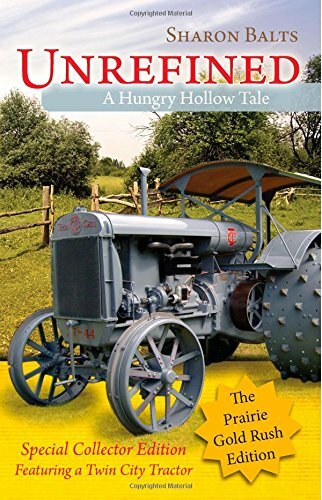 This book was written especially for Amish and Old Order Mennonite readers. The alphabet for the text is the same as used in Hank Hershberger's translation of the Pennsylvania Deitsh Bible, which is available from Christian Aid Ministries. However, we included English text for all non-plain readers as well. Keep this book in mind as a potential gift for Amish and Mennonite friends. In her debut volume, "Incredible Life Makeover," author and speaker Julie Court outlines step-by-step strategies for improving and rebuilding one or many of life after a major setback. Each chapter covers a phase of transformation and includes practical how-to examples with inspiring quotes and personal stories. This interactive journey provides key life skills that you'll refer to again and again! Frustrated with your brain? How would you like to remember where you put your car keys? Is multitasking working for you? Do you ever wonder how you drove to your destination? Baby boomers may be painfully aware of “the Fade”---as parts of our mind, body, spirit and relationships change and slow down through the years. "Max Your Mind" points out many benefits or “the Boost” that come with maturity, while offering tips to stay sharp and deal with the down side. If you are willing to explore some uncharted waters, you may discover satisfying gifts that light up your brain. Retirement can mean a second wind and a new sense of purpose. "Max Your Mind" takes a light hearted look from a spiritual perspective at the serious subject of the ways brain, body, spirit and relationships work together so we can more easily make choices to stay healthy and happy. Researchers have great news for us! Our brains are “plastic”, which means they change, improving and growing stronger in many ways as long as we give them what they need. However, scientific studies may not be everyone’s favorite reading material. "Max Your Mind" uses anecdotal stories to translate their work into usable tips that we can apply to our everyday lives. Conversational neuroscience can help us a make life-giving choices. Solutions appear that we can accept without blame or shame. Reader friendly applications can guide us to live fully as God intended. We hope you will find hope, help and humor within the pages. Bio: Sandra Sunquist Stanton NCC, LPC, BCC, translated, means she is a National and Wisconsin Counselor and Nationally Certified Health/Wellness and Personal/Life Coach. She served 25 years as School Counselor between an Air Force Base in Germany, three schools in Wisconsin, and set up a Guidance Program at KIA , a NCIS K-12 school in China. Since retiring from school counseling, she has provided over 100 Brain Coaching presentations. From her perspective, neuroscience is understandable and actually hilarious! Groups and individuals, parents, caregivers, education professionals, teens, adults and “boomers and better” can find great Brain Coaching tips to improve their lives. They say seeing is believing... What if they’re wrong? That’s Maddy’s dilemma when she sees her volatile ex-boyfriend at his identical twin’s funeral. It’s the first of many surprises as Maddy quickly discovers nothing is as it seems in the close-knit community of Churchill, Wisconsin. Despite lingering feelings for Nic, Maddy’s skeptical of claims that his millionaire brother committed suicide. Her suspicions turn to horror when Maddy stumbles across evidence the man was murdered—and Nic may be responsible. Maddy’s search for truth plays out against the backdrop of small town politics and a personal struggle with doubt. When a second tragedy tangles Maddy in a web of danger and betrayal, how far will she go to unmask the killer? Mirror Images is a riveting romantic suspense novel woven with insights on friendship, forgiveness, and the power of faith. Laurie Norlander’s debut novel, Mirror Images, was named the 2012 Grand Prize winner of the Women of Faith writing contest. Everything Changed When I Said "I Do"
"A book written for all stepfamilies! Based on her own personal experiences with divorce and remarriage and ultimately remarriage into a stepfamily, the author gives God the glory and couples the guidance for successful stepliving. A no-nonsense look at practical applications including "The Marital Perch." This book should also be considered a must-read for couples contemplating marriage that will create a stepfamily to stimulate discussion on the dynamics of entering this relationship." Bio: Dori and her husband Bob live in Eau Claire. They have two sons, a daughter, and four grandchildren. Dori has written articles for 5ive for Women and Queen of the Castle magazines. She has recently commenced writing articles for the Eau Claire Journal. Her blog can be found at www.stepfamilyrx.com. "Tessa loathes being forced to work in her father’s illegal drug business. Yet her ill-fated attempts at running away only deepen the abuse. Guilt and shame press in, pushing away her real friends and reinforcing her own criminal tendencies. Tessa yearns for freedom – and something else. Then a neighbor introduces her to God and salvation through Christ. But will faith be enough? Can sheovercome the forces that bind her before it’s too late?" Bio: Melissa Wiltrout lives in west-central Wisconsin with her two dogs, an energetic terrier named Daisy and a Sheltie named Chester. During the summer months she keeps busy at the family nursery and landscaping business. Writing is her favorite activity, but she also enjoys relaxing with a good book, playing guitar, breeding goldfish, and gardening. Through inspiration from God's Word and examples from everyday life, you'll discover the joy-filled, hope-rich way of viewing your past, present, and future. 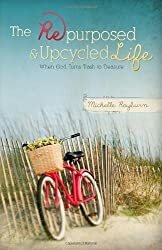 Bio: Michelle has written over 100 articles for publication, and this is her first book. Her writing has appeared in Christian Communicator, Focus on the Family, Chicken Soup for the Soul, Vista, and more. She has also written several Bible studies for ChristianBibleStudies.com. Michelle is president of WWCWG. WWCWG member Michelle Rayburn has a chapter in this book. 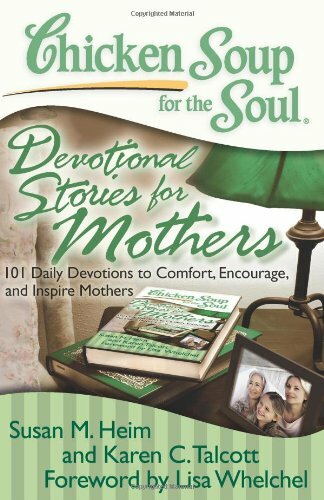 Chicken Soup for the Soul: Devotional Stories for Mothers will uplift, counsel, and reassure any woman of faith who needs a boost or reminder of God’s ever-present love as she goes through the ups and downs of daily life and motherhood. This collection of 101 unique devotionals -- consisting of a scripture reading, a Chicken Soup for the Soul story, and a custom-written prayer by mothers -- will affirm God’s unconditional love and His wisdom. Mothers will find solace and strength in these stories that cover motherhood from its joys and everyday trials to tests of faith. “The way you’re yanking on that bolt, you’ll break it off and then we’ll have an awful time getting this radiator off.” John regarded the grease-blackened wrench that lay in the grip of his strong hand and cast a tentative smile at Lloyd. “I guess I am taking my frustrations out on your tractor. I’m supposed to be fixing it, not making it worse.” “That’s right. I can bust ‘em up just fine without anybody’s help,” Lloyd said with a laugh. “Did I tell you how I managed to wreck this thing?” John Connor had already heard the story and he wasn't in the mood for Lloyd's chatter. There was hidden hurt wrenching at John's soul, continually leading his mind away from the task at hand. Laugh and cry with the Unrefined Connor family—slaves to the farm and mechanic work that is their means of survival, chained by guilt and fear, trapped by despair and worry. Unrefined is the tale of a three-generation family pummeled by tragedy beyond the common hardships of the Great Depression. Some will come to see their difficulties as a refining process. None will survive unscathed—if they survive at all. Who among them will rise above the hopelessness? Can a little spark of faith and some bold determination make a difference to all of them? 'Upon my oath, dear Anne, I am as well-behaved as I need to be in accordance with the eyes that watch me. And I am under far more scrutiny upon this wee vessel than ever I was in the grand household of royalty. I assure you, you shall be safe in my company.' Anne Dutton is good at pretending. Since childhood, she has lived upon the charity of her uncle and aunt, never to reveal her true identity for fear of dangerous repercussions. When concern for Anne's safety arises, a bargain is struck with the fearsome Sir Thomas Blackaby, a man who once served the queen and whose beguiling ways intrigued a young Anne. Pretending to be courted by the queen's former bodyguard should have been a simple matter, but the once-dashing man who filled Anne's childhood fantasies can deal betrayal as deftly as he wields his famous sword. 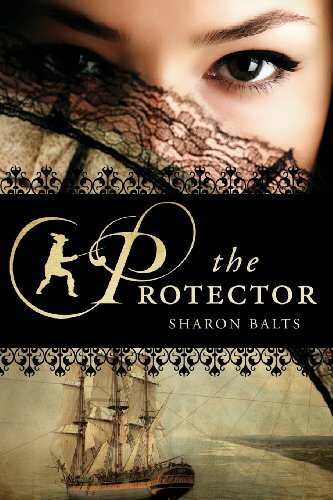 Upon learning the truth about The Protector, will Anne let her painful past dictate her future? Or will she turn to the source of her martyred father's strength? 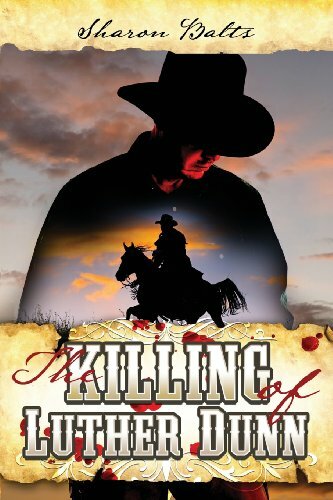 With a mind set on revenge, he intended to use Cassidy as bait to entice his enemy until he lost his heart to her. 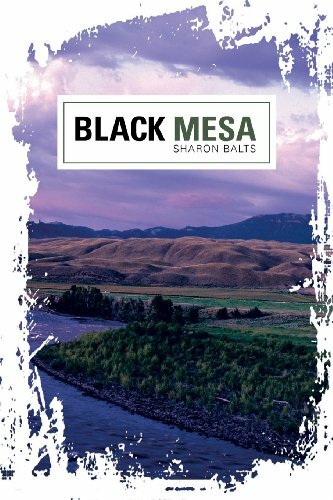 In her romantic thriller, Black Mesa, author Sharon Balts explores repentance, forgiveness, faith, and trust in the Lord as her characters deal with heartache, separation, and a past Brady must reckon with. Cassidy's widowed mother, a stern U.S. Marshal, a cantankerous old uncle, and a rodeo clown who is an ordained minister help set the stage for an exciting contemporary adventure with Old West, Wyoming flare. Occasional distant flashes of lightning were accompanied by deep rumbles of retreating thunder. Jake gathered the reins of his brothers horse and trudged through the mud toward the barn. The robbery failed, just as planned, Jake considered as he unsaddled the animal and turned it into a stall with a forkful of hay and a bucket of water. But one of the men was shot to death. Too bad it wasnt Dunn. Jake tossed the brush aside and reached for his own mares bridle, saddle, and blanket. He had told Garrett he was going to scout around a little. Now Jake knew exactly where he was going to go. Midnight. Theyre meeting Dunn at midnight. When his stage coach is robbed and Luther disappears, his wife, Sigrid Dunn, is shocked to learn he plotted the robbery. Filled with bitterness and anger toward lying, ambitious, unfaithful Luther, Sigrid does not even mourn when his body is found. Determined to raise her daughters alone with the help of a greenhorn hired boy, Sigrid resentfully turns to her interfering neighbor, Jacob Kearney, for protection and guidance, especially when Luthers ruthless father comes calling. But Luthers murder has not been solved. Evidence points to Mr. Kearney, but he has no motive. Or does he? Worse, he is slowly chipping away at Sigrids stone-hard, stubborn heart. Will she find out too late what Jacob Kearney is really after? Bio: Sharon Balts and her husband Doug are Wisconsin farmers. They are frequent travelers whose vacations often include a farm show or tractor club convention. They are members of the Hungry Hollow Steam & Gas Engine Club where Doug is an exhibitor. Jew and Non-Jew Israelites is the systematic debunking of an opening line ("Because Israel rejected Jesus...") used to promote latter-day Israel as a non-Christian people. While usually accepted, without question, the author explains how this cannot be reconciled with Isaiah's prophecy that Israel would be "called by a new name" (62:2); "by another name" (65:15) and that this began when the disciples "were called Christians first in Antioch" (Acts 11:26). Other Messianic Israelites also, the "many thousands of Jews there are which believe" (Acts 21:20) became known as Christians, a transition complete by the end of the 2nd Century. But as the author explains, it's 1900 years later and millions of evangelicals, descendants of those thousands of Messianic Israelites assume (ironically), because they are not called Jews, that they are not Israelites. So focused they are on that opening line, on the idea that Israel rejected Jesus that they do not see otherwise when reading an epistle (Hebrews) written to Hebrew-Israelites. Nor do they recognize the Christian Israel described by James when he wrote "to the twelve tribes which are scattered abroad" (James 1:1). Scores of properly interpreted scripture quotes in this book make it a good companion study to titles such as Israel's Tribes Today by Steven M. Collins. Related, and also covered is why evangelical leaders have quietly abandoned the Historicist, the classical Protestant interpretation of end-time events. Containing much Biblical and historical evidence, and a topical index for the same, Jew and Non-Jew Israelites serves as a handbook on Israel, correctly identified. "More free stuff! 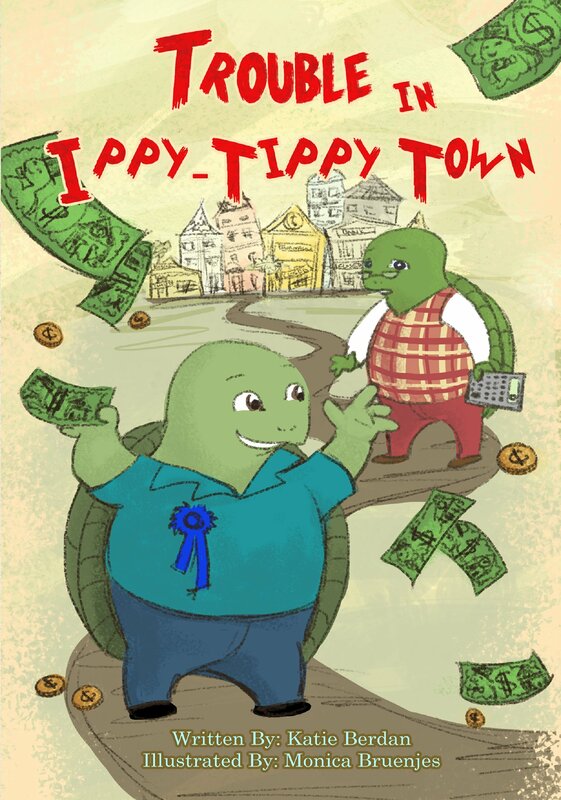 More free stuff!” What happens in Ippy Tippy Town when the Gimmie Getters make everything free? Where will the money come from? Where will the food come from? What will the Wanna Workers do to save their town? Bio: Katie Berdan is a writer and musician who lives in Wisconsin with her family. She is a member of the Society of Children's Book Writers and Illustrators and enjoys reading, music and painting. Randy Studier turned 61 years old, secured a new job, and looked forward to the future. Then, he went deer hunting, fell, and couldn’t get up. 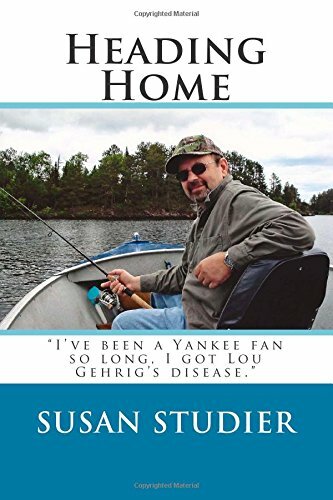 Medical testing ruled out all but one disease – amyotrophic lateral sclerosis, aka Lou Gehrig’s disease. “I’ve been a Yankee fan so long, I got Lou Gehrig’s Disease,” Randy joked. His remarkable humor and grace in the face of death impressed all who knew him. Yet, Randy struggled with questions such as: What mark will I leave? Who and what did I influence? Did it matter that I was here in the first place? Is heaven really next for me? As ALS ravaged his physical body, he resolved those questions, and found a faith sufficient to head home. Randy also formed his own personal definition of “quality of life” and made difficult decisions about how he would, or would not, live with ALS. From Randy’s notes and her own journals, his wife, Susan, shares their story of coping with ALS. In addition to their personal experience, Susan describes the adaptive equipment, home remodeling, and caregiving duties as a guide for other ALS families. Bio: Susan J. Studier was born and raised on a farm in south-central Minnesota, three miles from her high school sweetheart, Randy. She and Randy married young and spent 43 years together, raised 4 sons, and lived in 7 different cities: Flint, MI, Sterling Heights, MI, Glenville, MN, Albert Lea, MN, Chisholm, MN, Eveleth, MN, Stewartville, MN, and Eau Claire, WI. Susan spent most of her working life as a family law paralegal. Susan misses Randy’s love and humor every day of her life. Do you have a desire to grow in your walk with God? If so, are you prepared to actively and purposefully live a dead-to-sin lifestyle? Living in tune with the Holy Spirit requires denying self in order to claim victory in our normal lives. God, in His mercy, provided the Scriptures for the sake of revealing Himself to us. 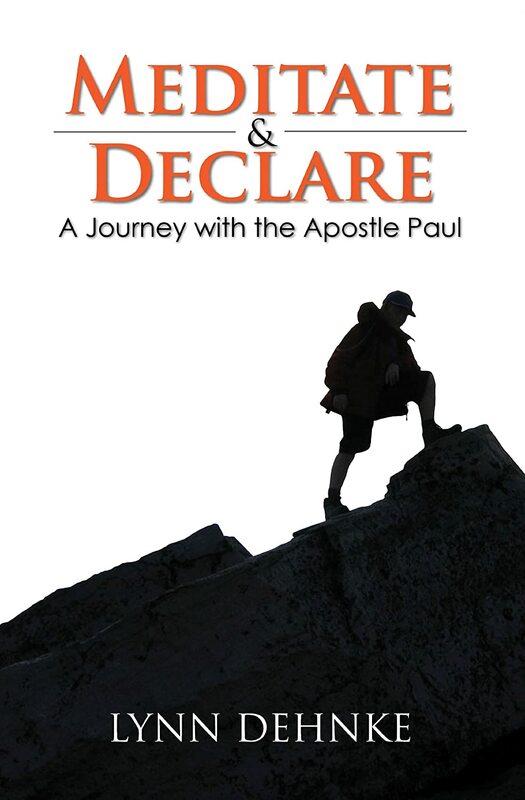 The goal of Meditate & Declare is to empower believers so we can all begin to be more Christ-like and to impact our world the way that Jesus intended. Learn by example how to extrapolate key concepts from the Word of God and begin to meditate on those concepts. Then you can actively and boldly in faith “speak those things that are not as though they were” (Romans 4:17) and fully believe that God, who spoke the universe into existence, will begin to move in, for, and through you to utilize your life for His Glory, and for your peace of mind. Bio: Not only does Lynn write, she is also an excellent public speaker and teacher of the Scriptures. As the Apostle Paul showed us, it doesn’t matter what your station or circumstance in life might be; there is complete freedom and victory available to each of God’s children, in all things.